In today’s world people tend to fall prey to fraudulent claims and scams easily due to less exposure to facts and cut-throat truths about what’s happening in and around major industries and sectors, which ultimately leads them to fall back heavily when it comes to hiring the right person. Being confident and sure about your hiring choices can promote harmony and safety in your zone of work. 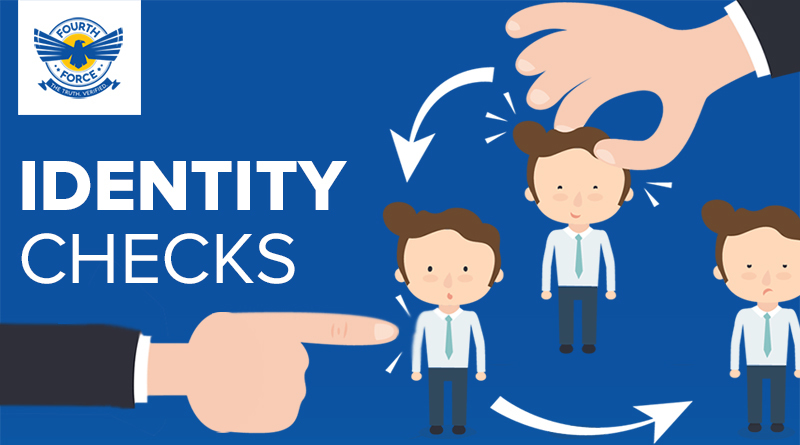 With the rise in frauds and scams in banking, the identity check is a major concern to ensure safe and secure money management. Fourth Force has adapted precise verification techniques and methodologies with exceptional specialization in major areas where background verification is highly called for. What separates Fourth Force from all the other background verification agencies is that Fourth Force is not just India’s highly trusted agency backed by a mammoth number of India’s ex-police officials, it is also solely the only agency that undertakes physical and direct field verification for every single case. That is one of the reasons why Fourth Force cannot be overlooked. In banking sector, one of the biggest business sectors in India identity check is a major concern. As we know, right from depositing a fund to an account to getting a loan from the bank, people are given specific IDs and accounts to verify their identity every time they request a service or product from the bank. The odds of the bank’s customers providing fake IDs or using authorization cards and names is on the rise; that is why before you or your company could fall trap to the possibilities of fraudulent scenarios it is important to bring in a team whom you and your company can trust. Identity theft – Claiming others account as theirs. It happens most often. Fraudulent loans – The only good way to take money out of the bank would be a nice and good application for loan where the borrower may be a business entity and encourages fraud activities within the bank with the help of a dishonest bank employee. Later the borrower declares bankruptcy or disappears and the money is gone. Fraudulent loan application – A number of forms filled to get a loan from the bank hiding unpaid loans and financial problems. When companies and Organization who care about their sector and who care about their team are not sure of what is happening around them, that will apparently encourage those who are looking to pull any mild or highly dangerous malpractices. Without personal identity verification one may not access the benefits, products or services that banking offers to its customers. But when these personal and sensitive data is accessed by criminals, the results can be upsetting. Fourth Force’ service team verifies, identities and puts in all the research into the root cause of the case to pull out every proxy and suspicious element from behind the scene.